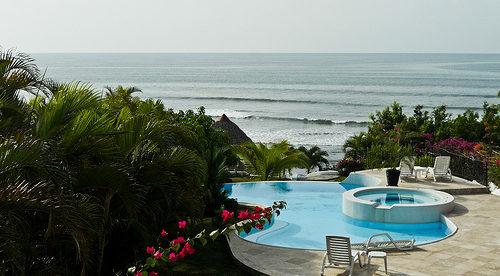 There are many benefits to permanent residence in Panama, where you can live by the beach and enjoy views like this. The Pensionado Residency Program is the most popular of all the options for potential expats as it entitles retirees to a host of money-saving discounts as well as residency. As a qualified retiree in Panama, you will be entitled to discounts on entertainment, public transport, airline tickets, hotel stays, restaurants, health care and closing costs of home loans. In addition, foreign pensionados are entitled to a one-time exemption from duties on the importation of household goods (up to $10,000) and an exemption every two years from luxury tax when importing or buying a car locally. Anyone entering the country as a qualified pensioner has the status for as long as they choose to reside in the Panama, so any future changes will not affect existing pensionados. To become a member of the pensionado elite you must draw a pension of at least $1,000 per month. However you can apply with a lower pension of at least $750 if you have invested at least $100,000 in property in Panama. The many discounts include a 50% discount on entertainment, 30% off public transport and 25% off restaurants mean that you can save even more in the already low-cost, high-value lifestyle of Panama. In addition many of these discounts are available to you no matter which residency permit you have as long as you are over 60 for men and over 55 for women. The Permanent Residence for Nationals of Specific Countries or The Fast Track Visa is open to professionals and entrepreneurs from the U.S. and over 50 other countries that “maintain friendly, professional, economic, and investment relationships” with Panama. There is only one easy application and to qualify you must deposit a minimum of $5,000 in a local bank account, plus an additional sum of $2,000 for each dependent. Applicants will also have to show evidence of an investment in real estate, ownership of a Panamanian corporation with a business licence or an employment letter and contract from a business in Panama. Other requirements are having no criminal record and a valid passport. The main benefit of this is that permanent residence is awarded straight away. Once an application is approved, the applicant and any dependents are entitled to permanent residence and a national identiﬁcation card. They can then apply for a work permit if desired. The Forestry Visa is available to those that invest in teak in an approved reforestation project in Panama, you’ll can get a Forestry Visa and the right to live in Panama. To qualify for the Large Forestry Investor Visa you must invest a minimum of $80,000. The applicant receives a one-year residence card and at the end of this year you may apply for a permanent residence and after five years, citizenship. There are many benefits to this visa including all wood harvested being exempted from all export, capital gains and real estate taxes for 25 years. All direct and indirect investments in the project are 100% deductible from your Panama income tax. Once permanent residence is obtained you have the option to hold onto your forestry investment or dissolve your corporation and get free title to your land.